Located in Blaine, Washington, BP’s Cherry Point Refinery helps fuel cars, trucks and airplanes throughout the Pacific Northwest, while making major contributions both to the local community and to the global aluminum industry. SWD provides garbage transfer, disposal and recycling services for approximately 1.3 million residents and 660,000 employees in King County. The King County solid waste system serves a large unincorporated area and 37 of the 39 cities in King County – the cities of Seattle and Milton are not part of the King County system. The division operates eight transfer stations and two drop boxes, as well as the Cedar Hills Regional Landfill, which is the only active landfill in King County. It is located on a 920-acre site in rural King County. King County's Wastewater Treatment Division (WTD) serves about 1.7 million people within a 424-square-mile service area, which includes most urban areas of King County and parts of south Snohomish County and northeast Pierce County. King County's wastewater system includes three large regional wastewater treatment plants, two small wastewater treatment plants, one community septic system, four combined sewer overflow (CSO) treatment facilities, over 391 miles of sewer pipelines, 26 regulator stations, 47 pump stations, and 38 CSO outfalls. Located about 70 miles north of Seattle on the picturesque Puget Sound, our Anacortes Refinery has a total crude-oil capacity of 120,000 barrels per day (bpd) and supplies gasoline, jet fuel and diesel fuel to markets in Washington and Oregon. Phillips 66 is a downstream energy company, with segment-leading Refining and Marketing (R&M), Midstream and Chemicals businesses. 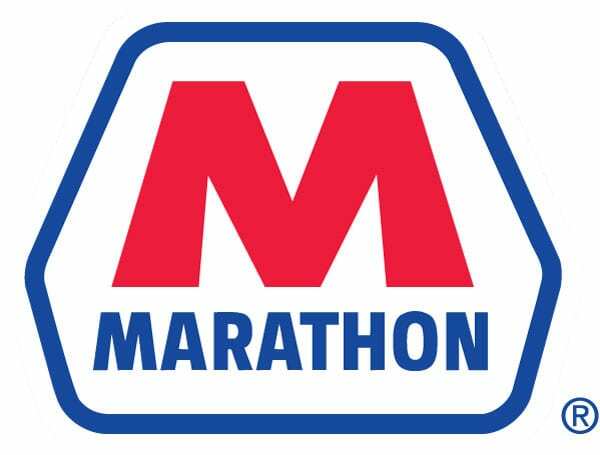 The companyﾒs R&M operations include 15 refineries with a net crude oil capacity of 2.2 million barrels per day, 10,000 branded marketing outlets, and 15,000 miles of pipeline systems. In Midstream, the company primarily conducts operations through its 50 percent interest in DCP Midstream, LLC, one of the largest natural gas gatherers and processors in the United States, with 7.2 billion cubic feet per day of gross natural gas processing capacity. Phillips 66ﾒs Chemicals business is conducted through its 50 percent interest in Chevron Phillips Chemical Company LLC, one of the worldﾒs top producers of olefins and polyolefins with more than 30 billion pounds of net annual chemicals processing capacity across its product lines. Phillips 66 Ferndale Refinery 3901 Unick Rd. The Port of Seattle is a leader in moving people and cargo across the country and around the world. With facilities and property ranging in scope from a half-acre park to one of the largest airports and container terminals on the West Coast, we maximize the public assets in our portfolio with an eye toward best uses and environmental sustainability. As one of the largest land holders in King County, the port owns parks and public access areas, Sea-Tac airport, conference facilities at the airport and on the waterfront, recreational boating marinas, piers for workboats and cruise ships, office space, storage and warehouse operations, and more. Pierce County voters established the Port of Tacoma Nov. 5, 1918, starting out on 240 acres of land in the Tacoma Tideflats. Over the years, more and more shipping activity shifted from the downtown Tacoma waterfront into the Port industrial area. Today, the Port covers more than 2,700 acres in the Port industrial area. It is of the top container ports in North America and a major gateway for trade with Asia and Alaska. Located on March Point near Anacortes, WA, the Shell Puget Sound Refinery went on stream in September 1958. Today, the refinery has an annual average crude processing rate of approximately 145,000 barrels (5.7 million gallons) per day and produces multiple types of gasoline in addition to fuel oil, diesel fuel, propane, jet fuel, butane and petroleum coke. It also produces two chemicals – nonene and tetramer – that are used in a variety of plastic products. Our job at Seattle Public Utilities is to protect the area's quality of life. To do that, we maintain some of the nation's best drinking water, help Seattle residents and businesses be recycling leaders, and protect local waterways and the Sound from polluted storm and waste water through rain gardens, tank systems and overflow treatment. Capital Planning & Development (CPD) is comprised of several units that plan, build and manage comprehensive capital projects. The Center for Education and Research in Construction (CERC) develops responsive scholarship with broad impact on people and industry practices from project planning to operations. CERC Labs work on several interrelated streams of research including Safety and Health, Project Delivery and Management, Virtual Design and Construction, Infrastructure Development, Collaboration and Sustainable Built Environments. Dr. Carrie Sturts Dossick, P.E. The Washington State Department of Enterprise Services manages many business and operational services that state agencies and municipal governments need to deliver public services. Our centralized services include facilities and lease management, accounting, human resources, risk management, contracting and printing. Enterprise Services also manages the Capitol Campus.